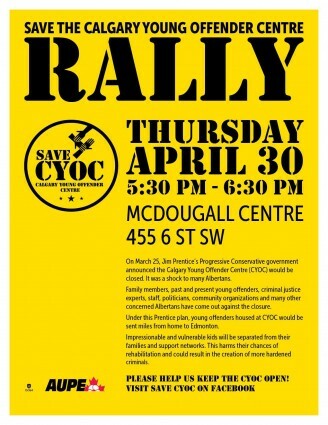 Save CYOC! 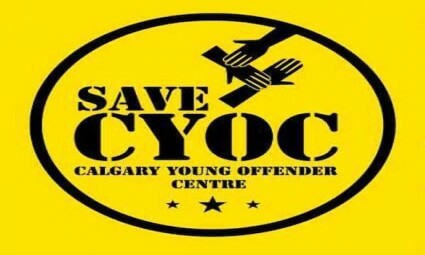 On March 25, Jim Prentice’s Progressive Conservative government announced the Calgary Young Offender Centre (CYOC) would be closed. It was a shock to many Albertans. Under this Prentice plan, young offenders housed at CYOC would be sent miles from home to Edmonton. Impressionable and vulnerable kids will be separated from their families and support networks. This harms their chances of rehabilitation and could result in the creation of more hardened criminals. Please help keep the CYOC open! 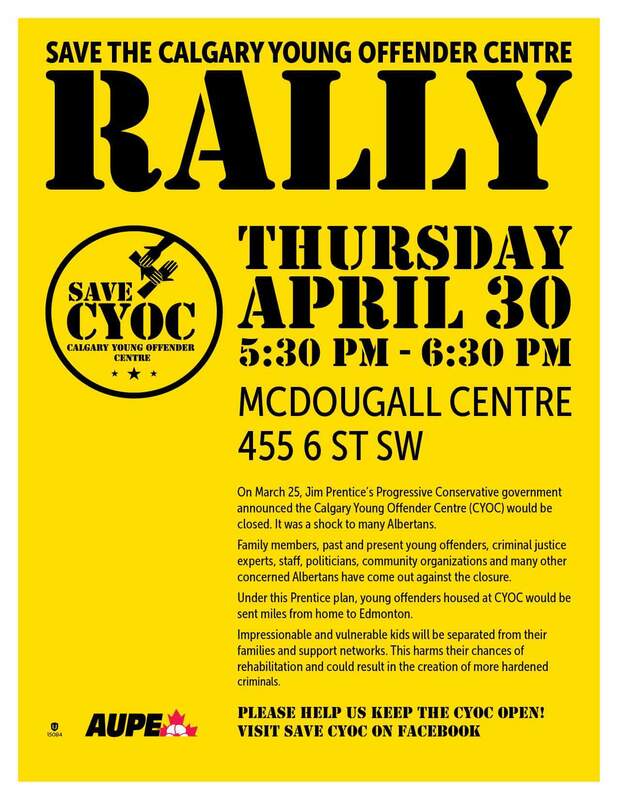 There will be a Calgary rally to Save CYOC Thursday April 30, 2015 from 530-630PM at the McDougall Centre in Calgary: 455 6 St SW, Calgary, Alberta. To learn more, please visit Save CYOC on Facebook.